A lover and observer of birds and nature; John James Audubon was an American ornithologist, naturalist and painter. He is best known for his detailed studies and illustrations documenting all types of American birds in their natural habitats. 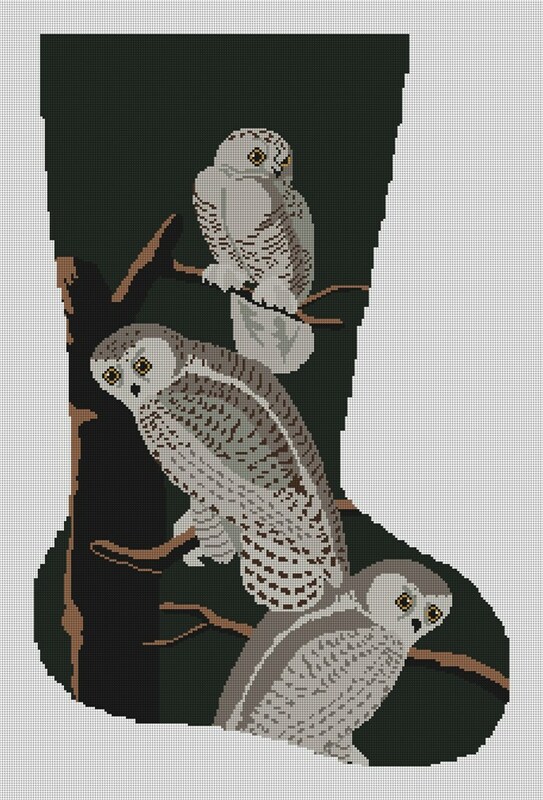 We have designed a needlepoint stocking for you to stitch, based on the original Audubon painting of the snowy owl. A unique and detailed stocking design for your fireplace that represents not only a holiday but the season of winter.